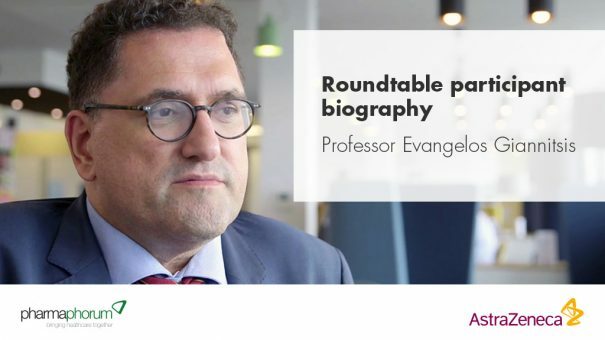 In August 2017, AstraZeneca sponsored a roundtable debate on the topic of secondary prevention of recurrent atherothrombotic events. Professor Giannitsis took part as a member of the multi-perspective panel charged with building authority and thought leadership on this topic. Professor Evangelos Giannitsis has been a physician at the Heidelberg University Hospital since 2002 and specialised in specialist MRI in 2004. He is a Member of the Task Force of the DGK for the creation of guidelines for ACS with and without ST elevation, 2001–2004; Task Force Chest Pain Unit of DGK 2007–2009; and DGK Certification Committee for CPU since 2009. Professor Giannitsis has been CEO of the German CPU Register since 2009 and is a member of the German Society of Cardiology and the European Society of Cardiology.